Paul Boudreau is a Roman Catholic priest of the Diocese of Norwich in Connecticut. He has served in various pastoral and teaching ministries for over thirty years. 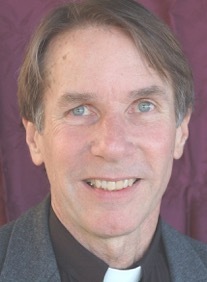 He is co-author along with Alice Camille of The Forgiveness Book and Fearless: Stories of the American Saints. Before entering seminary, Paul enjoyed a ten-year career racing motorcycles professionally and was editor of Motocross Action magazine. Paul’s award-winning articles have appeared in various religious and racing publications. He is the pastor of Saint Mary Church in Portland, Connecticut.